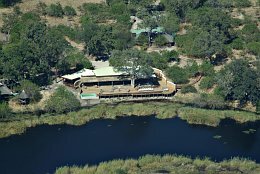 The Kings Pool Camp is located in the Linyanti game reserve, a private reserve in the North of Botswana. 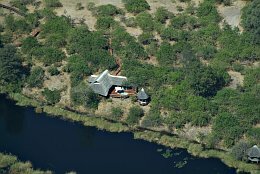 Here is where the Linyati River, which is called Kwando in Angola and Chobe River later, ends. 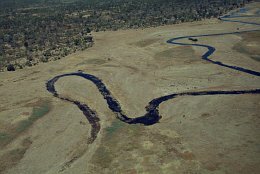 Later in the year, when the floods from Angola have reached the Caprivi strip it will merge with the Zambesi River and fall down the Victoria Falls.